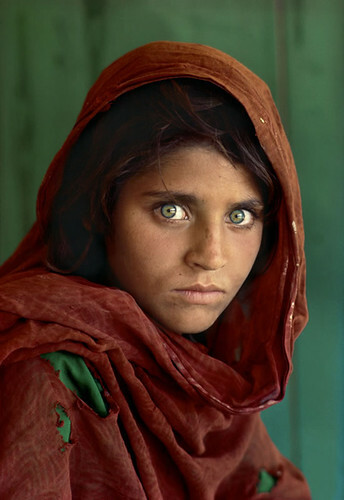 My admirations goes out to Steve McCurry’s capture of the Aghan Girl. The cover of National Geographic Magazine in June of 1985, is in my subjective but educated opinion the worlds greatest Headshot is a Portrait captured by Steve McCurry. Look at her eyes. What do you see, look again? Do you see beautiful little girls green eyes? Or do you see rage, anger and a internalized sense of unfairness. Her look tells us a story that is understood on an emotional level, you can’t dismiss it. Perfect exposure, beautiful work of complementary colors. Her green eyes are complemented by her vest and olive skin. If you don’t agree with me show me a better portrait to be displayed in my blog for consideration.